The new iPhone XS and especially the XS Max and XR after it, are widely expected to bring the "mother of all upgrades" by analysts, from people with iPhones two years and older who are still the majority of iOS users in circulation. The analysts from investment firm Piper Jaffray actually went and did an upgrade demand survey among 700 such owners, and found out that the upgrade wave will probably be much larger than expected. The survey indicated that 39% will be going for an iPhone XS or XS Max, with a roughly even split in desires for the two handsets. 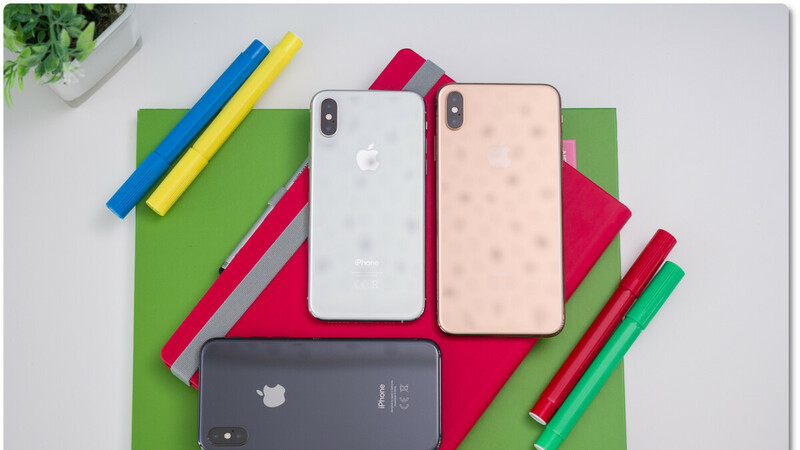 Thus, the analysts had to raise their prediction for the average selling price (ASP) of iPhones in the 2019 fiscal year to the whopping $770. That's huge, considering that the cheaper iPhone XR is still to hit the market and dilute the ASP. Previous studies showed that the more expensive XS Max beats the XS in buying preferences, so that might be something to even things out at the top-end, as the all-time high $798 ASP was reportedly reached by Apple in Q1 this year, thanks to the high iPhone X mix in the numbers.. Either way, Apple is expected to make out like a bandit in its next fiscal year, and we can't wait for the first sales and profit numbers to start trickling down. Anyone who understand the industry and mobile world shouldn't be surprised by this. Only 11% of current iPhone users own X, for all others XS, XS max and XR is great upgrade. Maybe not XR but XS | Max, Yes. Loving my Xs Max. There are other X users who will get the new shiny phone this November because of apple upgrade program. No one makes money with iOS either. For that matter, their users can't even afford lube anymore. Honestly; these are analysts with future stock price targets and sales analysis. Very often, they are just plain wrong. My brothers have huge salaries and they really are isheeps, but even for them Apple is slowly getting too greedy... I do not know about the XR; but once diehard isheeps have their XS and XMax it is going to be tougher for Apple next year. Relax, Phullfphil, these posters are required to use words like “isheep” - it lets the rest of us know weather their comment is worth reading or ignore it as bias rhetoric troll. why would people be buying the xs and xs max, when they didnt even buy the X? the iphone x was discontinued due to poor sales because of the high price.... The XS and XS MAX are still highly priced... So wheres the logic? No the X was discontinued because it's too similar to XS, many would have bought that instead. Poor sales? X sold very well. Pleased provide proof, or STFU! I think your Samsung S9 and Note 9 are the ones that should be discontinued because they are not selling well. Samsung should go back selling cheap and garbage phones for $100. Their marketshare will continue to fall because Chinese iphone knockoffs are eating them. So where’s the logic? Stupid idiot. Really like the Max. Now if Apple would make a big software update. As long as it still performs fast like iOS 12.